Want to know how to watch the Olympic Games using Le VPN? How to watch Olympic Games online with VPN? The whole world is glued to their TV screens to watch the 2012 Olympic Games in London. 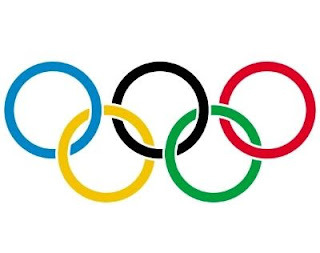 Want to know how to watch the Olympics using Le VPN, to see coverage of other major TV networks? If you want to see the UK coverage by BBC, connect to our UK server with your Le VPN and watch the 2012 Olympics live on the BBC website: http://www.bbc.co.uk/sport/live-video (available to the UK IPs only). For French speakers, use our French server and watch the Games live at http://www.francetv.fr/sport/les-jeux-olympiques-2012/direct. But maybe you prefer the US coverage from NBC? Then connect to our US server and watch the 2012 Olympic Games online at http://www.nbcolympics.com/liveextra/index.html. To watch it live, you will also need a cable, satellite or telco TV subscription that includes CNBC and MSNBC. There is no additional charge for that service from NBC. Don’t have your Le VPN account yet? Subscribe for a free trial now at www.le-vpn.com or www.le-vpn.com/fr (in French), and get the maximum out of the Games!